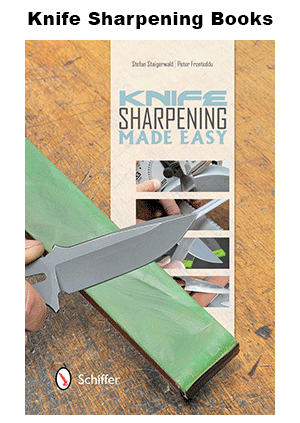 PEtec is the latest knife sharpening technology to be used by renowned knife company Wusthof. Engineers working for the company developed the new technology which produces exceptionally thin cutting edges resulting in extreme sharpness. Wusthof knives produced using PEtec have been independently tested by a research association in Germany (FGW – Forschungsgemeinschaft Werkzeuge und Werkstoffe) so that consumers can be assured of the quality. 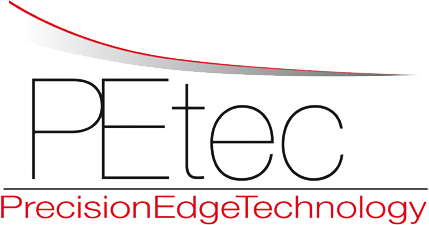 PEtec uses precision lasers and the latest computer technology to ensure optimal sharpening on every single blade. Before rolling off the production line, the knives are sharpened on a whetstone by robots, and then they are polished on a special disc. So what are the benefits of PEtec? Look after the knives as you would any other quality blade. Any of the sharpeners from Wusthof will do the job just fine. For example, this 3 stage electric knife sharpener by Wusthof (in partnership with Chef’s Choice) has been especially designed to take care of PEtec blades and to ensure the optimal lifespan of these special knives.